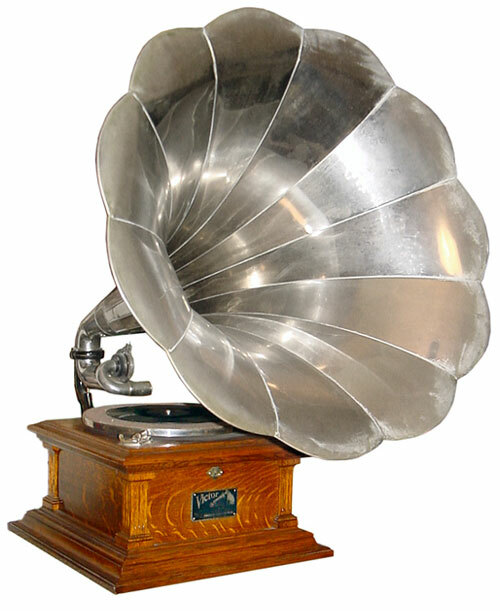 In 1887, Emile Berliner designed and patented 'gramophone' which recorded into groove on flat disc and played back sound by reading off the groove. Metal platter is suspended on shock absorbing base to prevent needle arm from jumping when table or floor on which turntable is jolted. Record Player Is a record sound reproduction system with a turntable, an amplifier and speakers integrated as one unit. Extended Play (EP) Record is commonly known as 45 RPM midsize vinyl record. It is usually associated with 'single' music release. (ref: Wiki Extended_play).